I walked 52319 steps on the trail today. I traveled about 25 miles today. 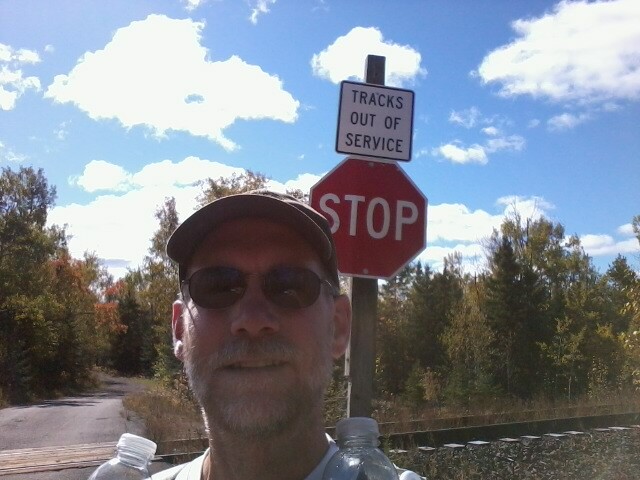 After a rest day and on a very nice trail, I'm making lots of miles today. Unfortunately, I left my camera battery in Duluth so I'll only have a few phone pics for the rest of the trip. I've been asking everyone I meet today if they have a Sony digital, but no luck so far. What a simply beautiful fall day along the North Shore! I reached Aspen Knob campsite and am all alone with a couple crazy rabbits running around the site. Talked to 11 backpackers today and 3 of them were Eagle scouts. Nice meal of scampi flavored noodles and herb/garlic tuna - and a Snickers for dessert! It's supposed to freeze tonight but I'm toasty in my quilt and down jacket so far. My friend from Foley Mansfield may join me on trail for a day or two.